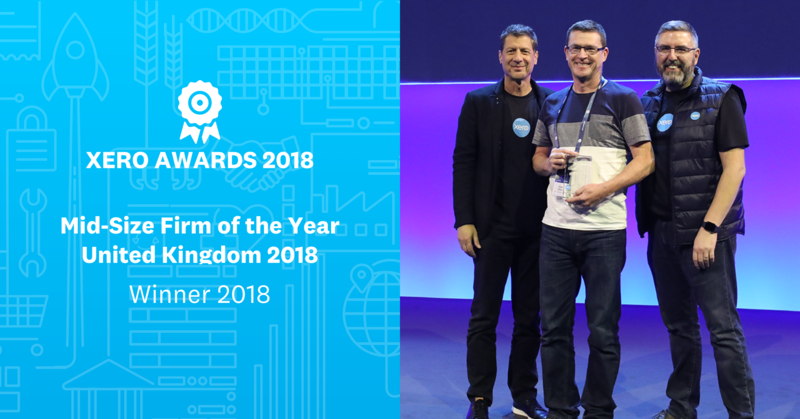 The Xero Awards at Xerocon London celebrate the best of Xero’s accounting, bookkeeping and app partners. The Mid-Size Firm of the Year award acknowledges excellence among accounting firms employing between 10-50 people, and/or 200-1,000 clients. Blu Sky submitted an application after a build-up of Xero activity across the year and a genuine belief and commitment to Xero. Blu Sky have fully embraced the Xero eco-system, allowing the introduction of real added value services to clients, for example when it comes to debtor control, financial control and management insights. Clients can have a full credit control process that allows them to chase in cash in a faster way, meaning they have more cash to further their business. Blu Sky can also provide a bespoke 3 way forecasting tool so that clients, as business owners, can make informed financial decisions, even with the free ‘basic’ package as it shows how dashboards can add real value to their business. Blu Sky have led the way in the North East, by offering migration and conversion from other packages introducing real efficiencies and real benefits in terms of the timeliness of information. Frequent in-house learning through workshops and internally branded ‘lunch and learns’ all contribute to the continuing commitment to Xero. Earlier this year, Blu Sky held an ‘App Day’ and invited 5 key app partners to demo to and educate the team and other attendees about their product, so the team can more easily identify and upgrade client-needs. 4 of these apps are Xero add-ons. A handful of the team attended Xerocon this month, and Dave Gibson, Co-founder of Blu Sky held a joint presentation with Anne Allen, Xero’s Director of People Experience on Day 2. It was following this that the Xero Awards were held.